Basium Squonker Mod comes with 180W max output wattage, several protections, 6ml silicone bottle and etc. Just take this mod to enjoy vaping together! Basium Squonker Mod, which is powered by dual 18650 batteries to fire up to 180W to give you pure flavor and denser cloud, comes with 0.96-inch OLED screen to show vape status clearly. In addition, it adopts several forms of protection that include short-circuit protection, battery reversal protection, overtime protection and etc to ensure high performance and safety. 6ml silicone bottle capacity is helpful for avoiding frequent refilling. Please don't miss this outstanding mod. You will like it. • Three-month warranty for Basium Squonker Mod. • Quick link: 18650 40A High-drain Battery. I have been vaping for about 1.5 years, and in that time I've owned multiple mods, including the Paranormal DNA250C. This mod blows them all out of the water. It's comfortable in the hand, stable and sturdy when you set it down, powers on and off quickly, and fires immediately. The bottle is a nice, squishy silicone and is contained in a sled that makes refilling a breeze. It doesn't have temperature control which may throw off some people, but it features both variable wattage and variable voltage modes, and it's stupidly simple to use. Using the Goon LP rocking dual Ni80 fused claptons at 0.17 ohms at 70 watts, I get a full day of use from two 18650 batteries and a nice, warm, saturated, full-flavor vape. Pair this mod with a good RDA and you will absolutely not be disappointed. 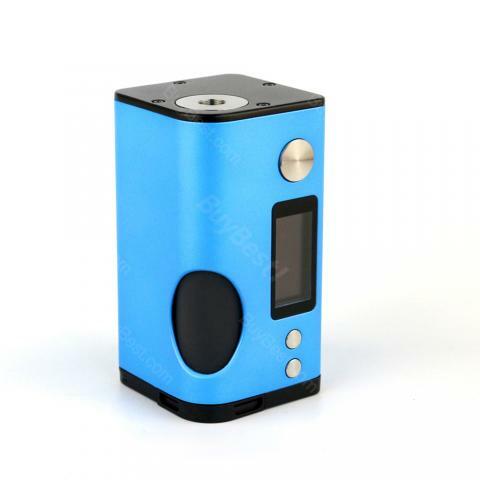 180W Basium Squonker Mod by Vaping Biker and Dovpo featuring a sleek and simple chasis construction. It is crytal clear and easy to operate. With 6ml capacity.